52-3666 Units: 6 designs/ 36 pans total Ideal for making mini quiche, finger foods, candy, and chocolate. Line molds with pastry and fill with preserves, fresh fruit, or pudding. Set of 36 pans; 6 of each design. Pans measure between 2 and 4" and are 3/4" deep. 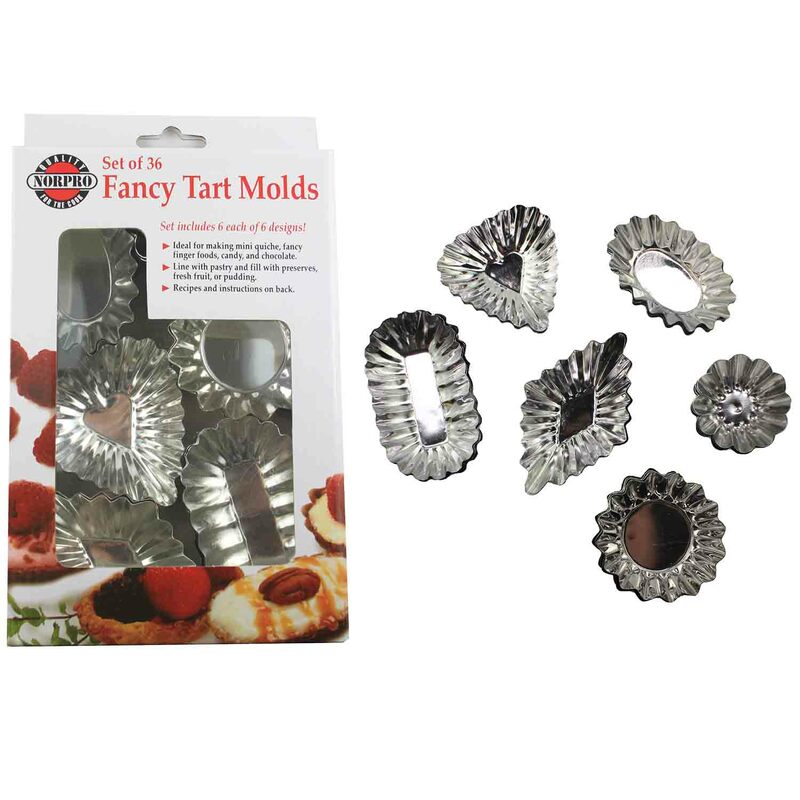 Ideal for making mini quiche, finger foods, candy, and chocolate. Line molds with pastry and fill with preserves, fresh fruit, or pudding. Set of 36 pans; 6 of each design. Pans measure between 2 and 4" and are 3/4" deep.